Two double-blind studies have compared butterbur extract to standard antihistamine drugs in people with hay fever. The first compared it with the drug cetirizine (Zyrtec) and found the drug and butterbur extract relieved symptoms equally well. However, cetirizine caused significantly more adverse effects, including a high rate of drowsiness. The second study compared butterbur extract with fexofenadine (Allegra) and placebo. 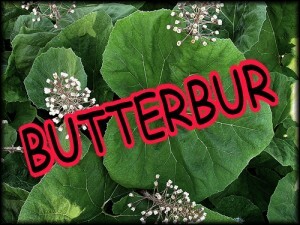 Butterbur extract was as effective as fexofenadine at relieving symptoms, and both were significantly better than placebo. People with hay fever had better symptomatic relief and reductions in levels of immune cells associated with allergic reactions (eosinophils) when treated with an herbal formula containing horny goat weed compared with a formula without horny goat weed and another herb by itself. Traditionally 5 grams (1 tsp) of horny goat weed is taken three times per day, usually after being simmered (decocted) in 250 ml (1 pint) of water for 10 to 15 minutes. In a double-blind study, an extract of the butterbur plant (Petasites hybridus) was significantly more effective than a placebo at improving symptoms in people suffering from seasonal allergic rhinitis. The study used a preparation standardized to contain 8 mg of total petasin per tablet. One tablet was administered either two or three times a day for two weeks; the larger amount was found to be more effective than the smaller amount.